1. Raid My Wardrobe ® is strictly for quality preloved women’s wear only. 2. Garments must be washed, ironed and in saleable condition. 3. NO men’s or children’s wear. 4. NO NEW garments or products including discontinued lines, excess boutique stock, mass produced products, sample products, party plan or upcycled, remodeled garments unless part of your own wardrobe collection. 5. No cosmetics, make-up, perfume, fragrances, electrical appliances including hair straighteners and the like, food or candles. 4. No underwear (including undies, knickers, g-strings, full briefs, stockings etc). Good quality or near new; bras, petticoats, slips, half-slips, camisoles, corsets, suspender belts, nighties, slinkys and pyjamas or items with tags still attached are allowed to be sold. 5. No swimwear (including one-pieces, two-pieces, bikinis) Good quality or near new board shorts, rashies, wraps and sarongs or items with tags still attached are allowed to be sold. 6. No sportswear (including sports bras, socks, runners or anything pongy). Good quality or near new crop tops, leggings, yoga pants, t-shirts, shorts, singlets, track suits, sport sweaters, raincoats and spray jackets or items with tags still attached are allowed to be sold. 7. The sale of counterfeit merchandise (fake or knock off merchandise) is illegal and not welcome at Raid My Wardrobe ®. 8. Event staff will circulate stalls prior to doors opening. Raid My Wardrobe ® reserves the right to direct stallholders to remove any items from sale that are deemed unsuitable. If a stallholder is found to have misrepresented their sale items in general, they will be asked to leave the event – with no refund of stall fee. 1. Selection of stallholders is made by the event organisers. Panel decisions are final. 2. Stall hire fee includes your stall 2.8m x 2.8m indoor space, one table, one chair, GST and insurance. By paying the fee, you have read the terms and conditions of the event and agreed to them. 3.Stall location will be disclosed upon arrival once you have checked-in on event day. The layout provided means that all stalls are exposed to equal traffic. 4. Raid My Wardrobe ® does NOT provide clothes racks. You may bring your own clothes rack/s (limit of 2, no longer than 1m each), coat hangers, tablecloth, carry bags and a float for the day. A full-length mirror (highly recommended), hat stand or small mannequin and/or body form are also welcome. 6. You are welcome to share a stall with a family member or friend. Just make sure not to over crowd your stall (shoppers tend to be deterred by over crowded, hard to access stalls). 1. Only people with Raid My Wardrobe ® Seller badges may access the area during event set up. 2.Set up and Pack up is to be performed within 1 ½ hours prior and ½ hour post the event. Stallholders must be ready to trade by 9am and continue to trade up until 1pm. Full instructions regarding access and set up/pack up will be emailed 14 days prior to the event date. Doors will close at 8.30am. All unloading needs to be completed prior to doors closing. Stall holders may risk being refused entry and forfeit their booking fee if late. stallholder having to pay for the re-surfacing of the floor. 4. Nothing can be hung, stuck, tapped, glued, nailed, screwed or attached to any wall or door of the venue. 5. It is the stallholder’s responsibility to take unsold items with them or donate to charity. Please remove all rubbish and leave your area the way you found it. 6. There is ample parking near the venues and on surrounding streets. Please check street signs for times and ensure parking fees are paid. No responsibility is taken by the organisers for any parking infringements. 1. The stallholder is responsible for the safety for their stall, and agrees to set items up in a safe and secure manner to avoid any mishaps. Please do not place goods for sale including shoes and tubs of clothes on the floor or in front of your table. 1. Stallholders are responsible for their stall security of their own goods and monies. Each stall must be attended by one person at all times. No responsibility is taken by the organisers for theft, loss or damage. 2.Change rooms are provided and stallholders are encouraged to secure a deposit or full payment for garments taken into the change area. Shoppers will be refunded this amount upon return of the garment/s. Event organisers accept no liability for loss or damage of items. 1. Successful applicants will be notified and invoiced via email. We accept payment via PayPal only. Full payment must be completed within 5 working days to secure your spot. A receipt is emailed upon payment received. If payment is late, you risk the possibility of your stall being allocated to another applicant. 2. A 50% refund of stall fee will be given up to 6 weeks (42 days) before the event date. Within 42 days of the event date NO refund will be given. If you are unable to attend your booked event stall, you may transfer your booking to a relative or friend. You are not able to transfer your booking to a future event. 3. 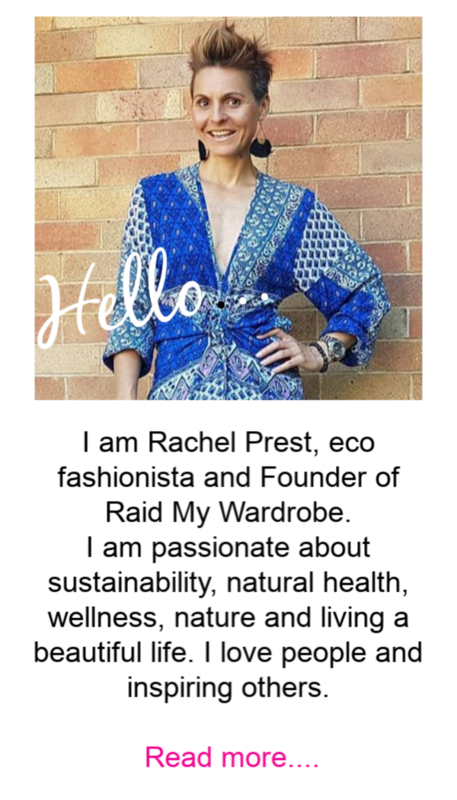 Should a Raid My Wardrobe ® event be cancelled, stallholders will receive a full refund of their stall hire fee. 1. Raid My Wardrobe ® reserves the right to refuse admission to the Preloved Fashion Event to any person without giving any reason and to eject any person and/or his/her goods and chattels without giving any reason for the same. 2. Each stallholder agrees to indemnify event organisers against all claims for damages or injury to the property or person of any persons in respect of any claim by any such person arising out of negligence on the part of the stallholder or their agents or servants. IMPORTANT: upon application and payment of stall hire stall holders agree to abide to the terms and conditions stated above. If you have any queries please contact us before applying. Thank you for reading the conditions. Have a great preloved fashion event with us!